Robert Dutton Artist: Ulta, ultra special Ultramarine! This months edition of 'The Artist' magazine includes my 11th chosen colour in the series of 13 - Ultramarine. This beautiful and versatile colour is one I use so often when creating my expressive paintings using all sorts of different media as it is especially useful to help me create those glowing darks! 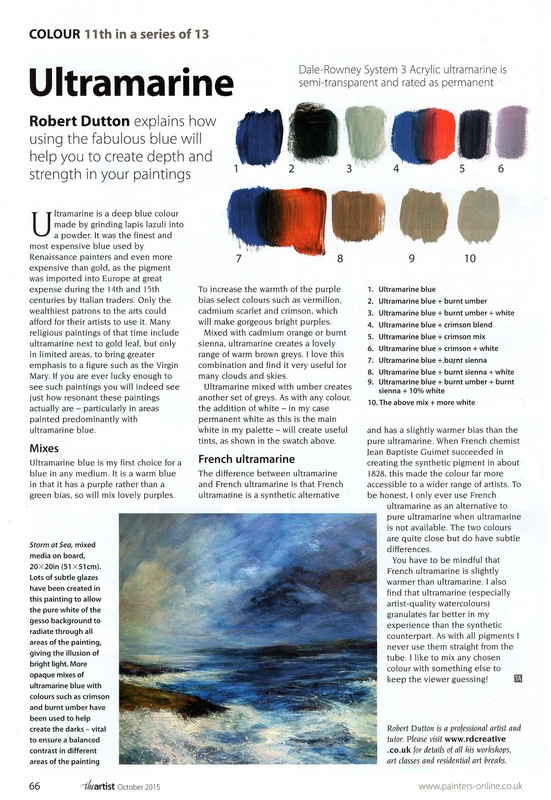 Next months edition of 'The Artist' magazine features my other series on pastels (Jackson's own brand pastels being the first review and printed in the September Issue of 'The Artist' magazine) with the British made Unison Colour pastels being put in the spotlight.